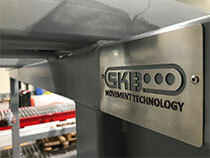 SKB Prod Systems produces and implements conveyors – roller, chain or tape conveyors, according to our own documentation or customer’s requests. If the client does not have available documentation, the SKBS design team can perform the reverse design service by executing drawings and sketches and then including current safety features. Transport equipment consisting a frame with carrying rollers fitted-in which is meant to support and convey goods packed or installed in containers, on transport pallets or euro pallets. Note: transport pallet is a specific kind of pallet for the specific applications of each client. The goods can be conveyed by gravity or by means of (non-)driven roller systems. The rollers can be driven by friction, chain or belt. 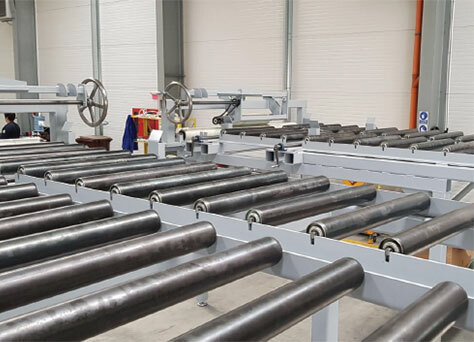 The roller conveyor is generally provided with side guides and – on demand – with different accessories like stoppers, position checkers, align guides, weighting devices and other similar. 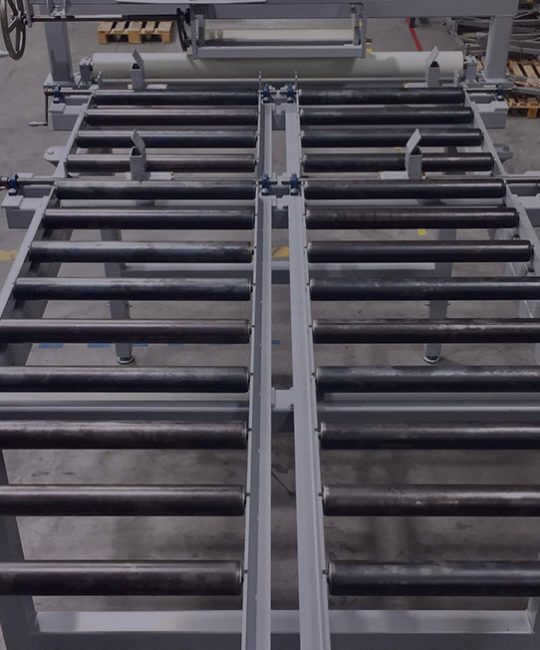 SKBS standard roller conveyor is designed to safely transport goods with nominal load up to 2 tons with a speed of 5…10 m/min. The Chain conveyor is designed to transport heavy goods on pallets by means or a transport chain sliding on a friction proof chain guide. The transport chain can be duplex or triplex. The SKBS chain conveyor can by with two or three rows, both wide edge and narrow edge. SKBS standard chain conveyor is designed to safely transport goods with nominal load up to 3 tons with a speed of 4…8 m/min. 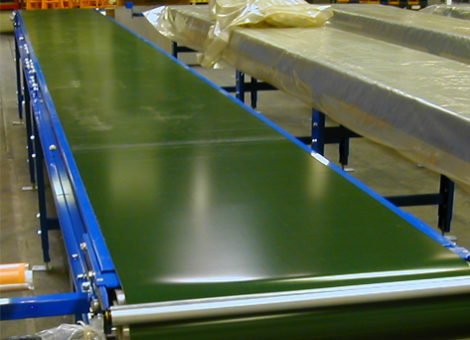 Belt conveyors are used to transport relatively small and lightweight products. Belt conveyors are the quietest transport equipment. 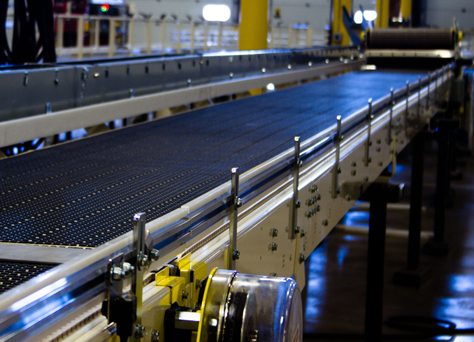 These conveyors can be straight or concave tape to increase yield for products with very low volumes. They are also used if we want to transport something on the inclined plane but then they are equipped with scrapers. Their most common application is in the food industry. Machine integration on conveyor systems – dosing pumps, engraving machines, metal detectors, weighing systems, etc. Conditions for storing and using the belt conveyor.